With so many companies focused on ways to keep their health insurance costs down while also boosting productivity, it's only natural for more and more organizations to offer or expand workplace wellness programs. Providing incentives to employees can be a good way to encourage participation in these programs, as well as encourage progress toward specific wellness goals. Learn about the many different ways to incentive workplace wellness so you can make an informed decision for your organization. According to ModaHealth.com, offering incentives is one of the best ways to motivate employees to participate in "activities that promote healthier lifestyles." Wellsource.com points out that people often want to make positive changes like giving up smoking or losing weight, but they're often just not motivated enough to do it on their own or lack confidence that they can be successful. Employer-offered incentives that "put employees in a position to gain or achieve something tangible" can be just the nudge they need to begin making positive lifestyle changes and remain focused on goal-directed progress. Branded promotional items related to healthy eating, such as lunch bags, salad containers, blender bottles (for healthy smoothies or protein shakes), etc. Company logo items specific to fitness activities such as water bottles, gym bags, yoga mats, pedometers, etc. Company-paid entry fees for fitness-related events such as 5K runs, aerobathons, walkathons, etc. 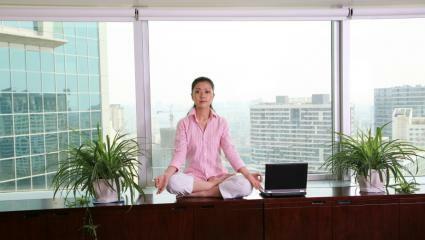 Establish a set amount of paid "on-the-clock" time that employees can use only for working out; require timesheet notations of "wellness time"
Company-paid wellness activities at work, such as on-site Weight Watchers meetings, healthy cooking classes, after-hours personal training, Friday chair massage, etc. Rebates for participation in or completion of wellness programs, such as smoking cessation programs, weight management programs, etc. Keep in mind that while encouraging - and incentivizing - participation in wellness initiatives can be great motivation, it's not acceptable to force your employees to get involved. The key is to inspire them to want to focus on wellness, and incentives can be a great way to do just that. You just have to select the right kinds of incentives, and offer a variety sufficient enough to appeal to the different types of people in your workforce. In Managed Healthcare Executive, co-founder and CEO of United Preference Mark Hall explains that companies need to "better tailor the incentives to fit the person, and to provide incentives that motivate while driving program ROI" (return on investment). There are many different incentive options; the keys to choosing effective ones lie with selecting rewards that will be motivators for your workforce and that are consistent with your company's overall mission and wellness-related goals.